Waldkirch, Juli 2017 – The new non-contact DOSIC® ultrasonic flow sensor is used to detect the flow volume of conductive and non-conductive liquids. With its measurement channel and stainless-steel housing, the ultrasonic flowmeter is suitable for measuring tasks in hygienic and highly demanding environments. The rugged and compact model combined with a hygienic design ensures highly reliable measurement results. This makes the sensor ideal for a wide range of application possibilities, including those where space restrictions or aggressive media play a role. Two configurable digital inputs and outputs and up to two analog outputs, as well as an IO-Link interface to a superordinate control unit, ensure that you get just the right start position. The IO-Link reduces cabling and also enables complete control and monitoring of the sensor in Industry 4.0 machine environments. In addition, the sensor automatically adjusts its parameters if the medium is changed. This “Plug & Measure” solution eliminates the need for initial medium calibration and reduces installation and operating costs. 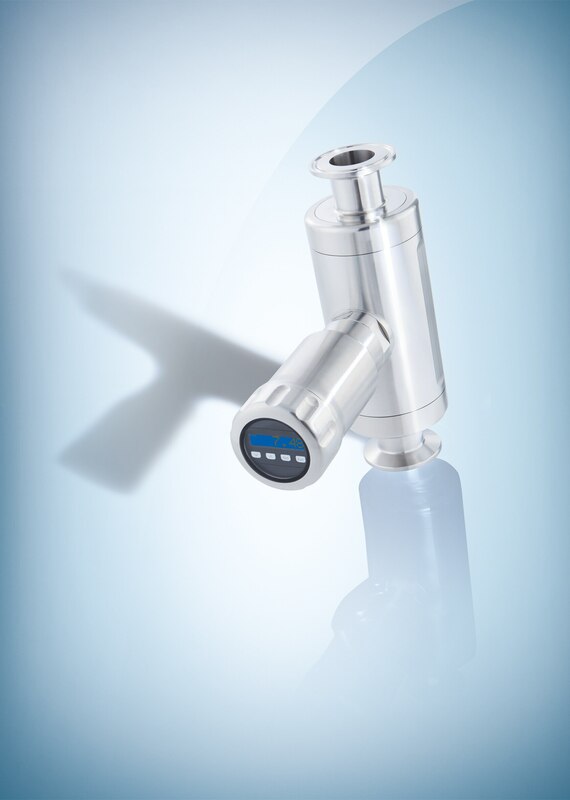 DOSIC® is the compact stainless-steel sensor for flexible flow measurement.